The Marfa lights, also known as the Marfa ghost lights, have been observed near U.S. Route 67 on Mitchell Flat east of Marfa, Texas, in the United States. They have gained some fame as onlookers have ascribed them to paranormal phenomena such as ghosts and even UFOs. The ‘Ghost Lights of Marfa’ – or just the ‘Marfa Lights, Texas’ as they’re more commonly known – are a collection of visible lights that randomly materialise over the Mitchell Flats roughly twenty kilometers east of Marfa, Texas. The small town of Marfa is located near the heart of the Texas desert, on the border of Big Bend National Park near the Chinati Mountains and the world would never have known of its existence if it were not for these strange lights that often appear and attract many curious observers even though is one of the least populated regions of Texas and part of the Chihuahuan Desert. This still unexplained phenomenon is generally sporadic and is usually seen between 10 to 20 times per year during the night when the air is very clear. Although researchers from Texas and elsewhere have put forward a number of possible explanations, none have been definitively proven. 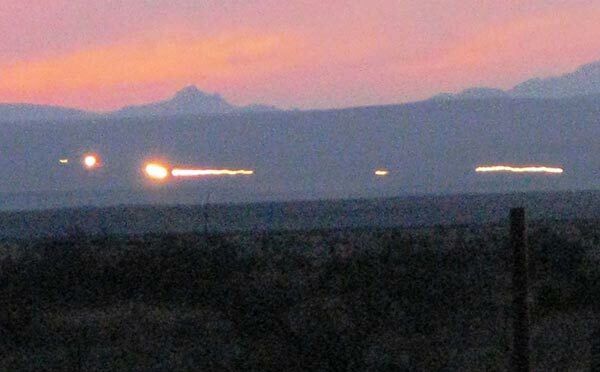 So far no scientist has been able to give a valid and rational explanation of Marfa lights although many have tried. The Marfa Lights, Texas are generally described as glowing orbs the size of a basketball but that pulse and change color. Common shades include white, yellow, orange, green or blue. In general, the Marfa radiance hovers over the ground at a height of between one and two meters but can go as high as 100 meters. They usually all move in one direction as they drift slowly across the landscape but on occasions they will suddenly scatter in all directions. The Native Americans of this region have long been aware of these strange lights and had incorporated them into their myths and legends long before settlers arrived in Texas. They believed that these apparitions were the souls of warriors killed in battle and who were trapped on Earth seeking revenge. It was only in 1883 that the Marfa Lights were officially recorded in the history of Texas. That year, a cowboy called Robert Reed Ellison had just led his horse through the Paisano Pass when he encountered the radiance. During WWI the US military noted that this phenomenon might be used as a beacon by enemies in the event of a possible invasion from Mexico … the border of which is only 44 miles away from Marfa. During WWII the pilots of the Texas Midland Army Airfield tried to identify the source of the Marfa Lights but without any success. It was during the 1970s that various organisations began the first scientific tests to determine the source of the Marfa Lights. In March 1973, a group of scientists from Texas Sul Ross State University, led by physics professor Don Witt, sought in vain to understand the causes of this phenomenon. Like others before him he failed to solve the secret. 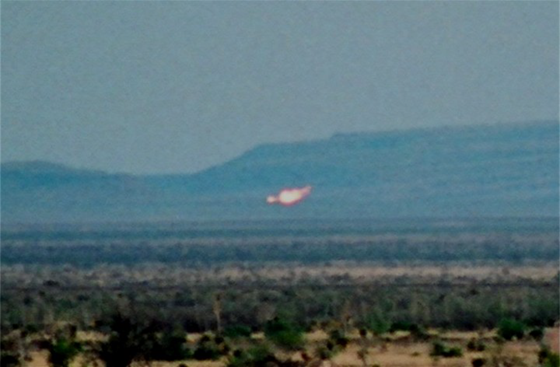 In 1989, chemistry professor Avinash Rangra and astronomer Edwin Barke, together with 11 other scientists from McDonald Observatory made another attempt to try to and solve the secret of the Marfa Lights. Apart from the fact that the team conclusively proved that these strange lights were not from automobiles on the Presidio Highway (Route 67), they could provide no further rational explanation. Due to the proximity of an army airfield, conspiracy theorists have suggested that UFOs were responsible for the Marfa Illuminations. Other observers believe they may be ghosts, marsh lights, radioactivity, flashes of ball lightning or even the military testing secret aircraft. Other explanations suggest an optical illusion created by the intense temperature difference between the warm dessert air and cold air from the Mountains. Why this should generate luminesce is somewhat confused but involves marsh gas even though there are no real marshes. One of the more fantastic theories states that the lights are bursts of static electricity being generated by frisky rabbits. The locals of Marfa who have come to accept the phenomenon as just part-of-life are often amused by these attempts to explain what’s going on. Many are convinced that whatever is causing the Marfa Lights has some intelligence and is determined to avoid explanation. For example: there are many stories about how these lights have followed cars, trucks, and even walkers. One resident of Marfa, Mrs Giddings, even believed that the orbs spoke to her father and guided him to the safety of a cave when he was caught in the mountains during a blizzard. Mrs Giddings wholeheartedly trusts that the Marfa ghosts saved her father’s life.